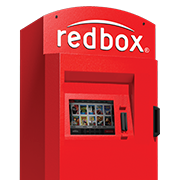 Redbox has a code for you to grab that'll score you a Free one day DVD Rental or $1.50 off Blu-Ray or Video Game Rental. To get your code text the word PUSH to 727272. The code that they send to you will be valid for the Redbox app through March 31st. Click on the picture below for more information!